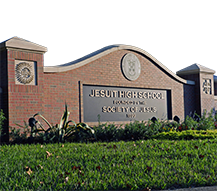 Each year, Jesuit High School students take numerous service immersion trips near and far. These mission trips frequently take place for 7-10 days during the summer but can occur during other breaks from school. 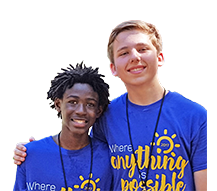 CLICK HERE for information about Summer 2018 Mission Trips and to apply to serve on a Summer 2018 mission. The past several summers, student contingents representing Jesuit have served those less fortunate in South Dakota, Appalachia (trips to north Georgia and to southern Virginia), and Nicaragua. 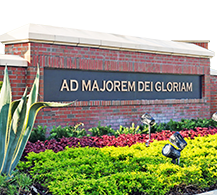 In addition, members of the service club Agmen Christi travel to Belle Glade several times annually to assist the community there, and many Jesuit students and alumni take part in the Muscular Dystrophy Association's Summer Camp for kids each year, a week-long, overnight camp in Brandon. 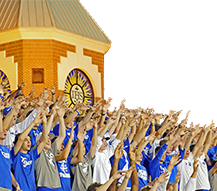 Whether locally, throughout Florida, across the country, or abroad, Jesuit students are committed to serving those less fortunate. See below how Jesuit students have made an impact in South Dakota, Appalachia, and Nicaragua, or click here view a story from the Fall 2017 issue of Jesuit's Perspectives magazine about the Summer 2017 mission trips. I had been on a service trip before, the previous year to Nicaragua, so I felt like I had a good idea of what to expect when I headed to the Lakota Reservation in South Dakota with nine friends from the Class of 2018, along with Mr. Werner and Mrs. Martin. The only difference was that this time would be staying inside the United States, so we would experience poverty suffered by fellow Americans. It was an awakening to see how much the country we live in today is not as perfect as it sometimes seems in our daily lives here in Tampa, in our homes, neighborhoods, and schools. South Dakota was a great eye-opener for myself and the other nine rising seniors: Seth Cashen, Ian Halme, Preston Lawn, Shaughn Layton, Ben Ledwon, Jack Mahoney, Harrison Redd, Jake Rodriguez, and Jordan Vivero. Each day we would wake up, grab breakfast, and go across the street to where we operated a Vacation Bible School for kids on the reservation. The VBS would take up most of the day, and then we would head out to the local community food garden, getting dirty and and helping out however we could, trying to make farmers out of ourselves. The first day the Lakota kids were shy and hesitant. We broke the ice with card games and other activities that forced us to interact. Once we had played a few games, the kids realized that we were there to have fun with them while also teaching them. By snack time of the first day, it was like we had known each other for years. We were having full conversations about all of their favorite topics, while discussing Saint of the Day cards that we handed out daily. By the end of the week, each child had made a significant impact on all 12 of us. Not only did they smile every day, all the time, but they treated us like family. Understanding what family is to the Lakota tribe was the most impactful part of the trip. The children who could have been shy and wary instead took in this group of strangers from far away. They made us feel as if we were ordinary people in town who they had known for years. Family is what keeps a community together. Even in difficult situations family is what makes everything seem better and makes people happy. The Lakota people have sacred rituals and beliefs. The most important belief to them is that family means everything and that God will always love you. Learning from each child that God is always going to love me and my family will be there no matter what gave me joy and pleasure every day we were there. With a smaller group on this trip compared to other Jesuit missions, it gave us the sense of family every night, as we took turns cooking meals for each other and playing cards in the family room. Making a new family full of my brothers is why I'll cherish this trip. I’ll take back the lessons of family and God to Tampa, to share with everyone. Miles Almadrones: Good morning. For those of you who don't know me, my name is Miles Almadrones and I am a senior here at Jesuit. 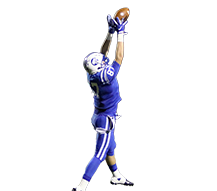 Harrisen Pike: Hi, my name is Harrisen Pike and I am a sophomore here at Jesuit. Miles and myself, along with 12 other students, Dr. Pastore, and Fr. Hough, were called to go on a mission to serve God’s people in Matagalpa, Nicaragua. For one week, we were tasked with doing things such as handing out donations, visiting with families in the local hospital, or playing with the children of the town. MA: On the first day, we landed in Managua and drove for two hours to the mountain town of Matagalpa. Along the road we saw vendors selling meals, fruits, and animals as exotic as monkeys. During the drive we all got to know each other despite (previously) only seeing each other as passing faces in the hallway. One of my favorite parts of the trip was becoming friends with everyone whom I never would've known if I hadn't gone. HP: When we got to the friary we unpacked all of our donations which included: clothes for all ages, shoes, and toiletries such as soap and toothpaste, and we met all the Friars that lived there. MA: They had four Friars living there when we arrived. Their mission is to help develop the local peoples’ faith. Like the Jesuits, these Friars had to take vows of poverty, chastity, and obedience. MA: I remember one day, one of the Friars, Brother Justin, took a few students and myself to the open air market where you could buy fresh meat, clothing, fruits, vegetables, or toys. Brother Justin saw a woman he once knew that he hadn't seen in a long time. She owned her own stand and sold fruit. This woman’s name was Mira and she was the first example I saw of what faith means to these people. Mira introduced herself and her grandson who worked for her in the stand. She told us about her daughter that died and what a toll it took on her family. As she cried in the stand remembering her only child, Brother Justin prayed with her in the middle of all the commotion of the market. She then thanked us for stopping by and carried on with her day. This event showed me how important these Friars were to their town. Even in the middle of a business day, Mira felt comfortable enough to discuss with Brother Justin what was troubling to her. And she did that by trusting her faith while praying with Brother Justin for strength. HP: My first time truly experiencing service on this trip came when three students, myself and Father Hough went to go get bread at the local panaderia, or bread store. When we got there the two ladies recognized Father Hough right away from last year’s trip and greeted us with open arms. What really stood out to me was when they invited us into their house, which was connected to the bread store, and offered us all the food and drinks that they had. Even though bread and coke didn't seem like a lot to us, this was all they had and they were willing to just give it away to strangers. This doesn't really happen in the U.S. Being invited into their house made me feel extremely honored and welcomed into their country, and this experience also made me realize just how friendly the people of Nicaragua really are. After we got the bread we started the drive to the dump. The drive up was an experience I'll never forget. I saw kids walking the dirt road toward the dump in need of new clothes badly, and houses I'd never thought I'd see in my life. On the way to the dump kids would hop on the back of the truck and hitch a ride down. The dump was not the best smelling place in the world, but my senses dulled after I saw all the people digging through the garbage for clothes. There were mounds of garbage everywhere that rabid dogs were tearing through and people were searching for various items and necessities. Father Hough pulled the truck into a space in between mounds of trash where we tried to hand out clothes in an orderly fashion and tried to get them to form lines, but ended up getting mobbed by everyone. The best part about the dump was seeing the smiles on all the kids faces as they hitched a ride down to the dump and seeing the smiles on everyone's face as we handed them clothes, shoes and toiletries. It was amazing seeing how playful and happy all the kids were even in the condition that they are living in. MA: My first taste of service came on the second day when Dr. Pastore took us to the local hospital. Although we weren't allowed to visit the patients due to Zika outbreaks, we were able to see the families of the patients inside the lobby. This hospital didn't distribute any toiletries for their patients. Instead the families had to supply these basic items which were expensive in the local grocery stores. We passed out toothbrushes, toothpaste, and soap to these families who would later give it to the patients. This wasn't your typical hospital waiting room. It had doors and windows open with flies and other insects coming in and out of the lobby. There wasn't much seating and different families lined up along side of the wall waiting for their turn to see their loved one. Despite this hospital having multiple health hazards, according to a worker there only one person has ever complained about the quality. And that one person was a tourist. As we walked around and handed out our donations, the people grew extremely grateful. It was a humbling experience to give out items so simple to us, but so meaningful to them. HP: In Matthew chapter 25 verse 40 Jesus says ‘And the king will say to them in reply, ‘Amen, I say to you, whatever you did for one of these least brothers of mine, you did for me.’ This mission gave all of us an opportunity to connect with God in a way we had never done before. This Bible verse set the theme for the entire trip. It gave us a reason to do what we did. We were able to serve the humblest of God’s people and truly see His love in the work we did. We could see the power of this work by the smile’s and sometimes tears on people's faces, in the emotions and energy of the children we played with, and the relief of the parents who knew their kids were getting proper shoes and clothing that they desperately needed. MA: This mission showed us all a lot of things. We learned that in order to truly serve others, to truly follow God’s will and His mission, you have to lose yourself in the service of others. You can't be selfish and think about your own issues. You have to put yourself aside and cater to the needs of others. You have to put aside the difficulty that comes with serving these people. In doing this, you find yourself in a state of happiness. When it was all said and done, every single one of us was proud of the work we did. We felt honored to get to know these people and learn about their life and their differences. You can't learn in a classroom the true differences and struggles of others, especially those of the needy. You need to experience it yourself and see these differences. I was incredibly fortunate to attend this trip. I was fortunate to make new friends and strengthen the friendships I already had during the mission. On top of all this I was able to improve my Spanish and see a different part of the world, just a couple graces of the trip that came along with everything else. HP: The first couple days were hard for me being the only sophomore on the trip, but that did not stop me from enjoying it and helping those just as much as the other students. It was not hard at all making friends on the trip and interacting with everyone. In fact, due to all my new friends it made the trip even more enjoyable. The trip to Nicaragua was an amazing experience for me and I was able to help those in need. At the end of the trip I felt like a better person because of all the lives I touched. My faith improved a lot on the trip from seeing just how faithful all these people truly were, and through the night time prayers with the Friars and Mass during the day. MA: With all that being said, I encourage all of you to pursue an opportunity like this one. It was amazing experience that I will never forget. I grew closer to God and to everyone around me. HP: At some point consider going on a mission trip and helping those in need. It was a memorable experience that impacted the lives of others and especially left a mark on the lives of Miles, myself, and everyone else who attended the trip. MA: Thank you for listening and now please stand for prayer and the pledge. For the second straight summer, a Jesuit contingent piled into several vans one morning in July and drove nine hours to the rural Appalachian community of Jasper, Ga., to serve the poor. Two dozen students, led by four chaperones including Fr. Hough, worked all day for a week on various projects throughout the community – painting, building, repairing, landscaping – doing whatever needed to be done. Myles Hahn ’16 shared his experience serving in Appalachia. I thought we’d just be working for a couple hours each day, but it was eight or nine hours of manual labor daily. Raking, mowing, painting, building – whatever manual labor was there, we did. Some guys sat and talked to the elderly and disabled while we were working on their home. They would come out and talk to us and tell stories from their life. We got to know them well – we didn’t just work and leave. We bonded with them while we were working. One guy told us all about the Native American history of the land, and another shared his trip to Antarctica. We had group meetings at night, prayer, reflections – whoever wanted to talk and share about each day. There was a great rapport between us and with the chaperones. Fr. Hough and Luke Surak ’18 in particular had a great back-and-forth. The vans would take different groups to different places each day. The first day I was at four houses with different people each time. The second day, three of us were sent to a lady’s house to build a staircase. The staircase had holes in it and was falling apart. We worked on it for five hours, building a nice new staircase from the ground up. After working all day, we’d be sweaty and covered in grass up to our thighs, and dirt and paint – 28 guys all needing showers. We had 13 guys staying in one room and 11 in another. But we figured it out. I knew most of the guys on the trip before we went, but some of them I really go to know a lot better and became really good friends with. Riding all that way in the van, working on projects together, and staying 13 to a room will do that. Whenever we were about to go to bed, someone would say something and we’d talk for another hour. You had to pass out if you wanted to fall asleep. Sam Paniello ’16, he had a lot of stuff to say. A local man named Matt was our connection to the community and in charge of giving us our work assignments every day. When he talked to us the first night, he said it was eye-opening (for the people of Jasper) to see us coming on a nine-hour drive to their neighborhood. He was using it as a challenge to their youth group up there, to see what we’re doing and try to have the same commitment. And it also opened my eyes, to see the impact we were making on them, and to realize how much more we could do in Tampa. I realized there’s so much we could do back home, too. 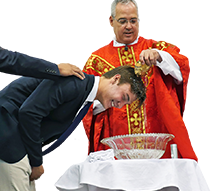 J.J. Miller ’16 was one of 13 Jesuit High School boys, led by chaperones Fr. Patrick Hough, S.J. and Dr. Angelo Pastore, who traveled to Matagalpa, Nicaragua from June 28 – July 5 and gave fully of themselves in the midst of despair. They visited the sick in the barren hospitals, the homeless in the streets, and hung out at the town dump, providing sustenance and clothing for the desperately needy. It was the fourth straight summer a Jesuit contingent has served in Nicaragua. 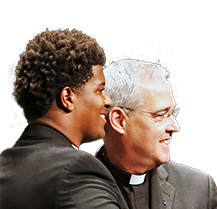 Below is an excerpt of the transcript from Miller’s Aug. 24 Convocation to the Jesuit student body. For a week we lived in a friary with the Franciscan Friars of the Renewal. These men live in constant poverty, begging for all they have, and in return offer spiritual assistance to the community. The inspiration of these Friars made this whole trip possible, and without their care and sacrifice I would not be standing before you today. The culture I witnessed in Nicaragua, you noticed it in the subtleties of everyday life. People on the street who obviously had nothing smiled 10 times more when they saw you than any American would. Then there was the funeral. On our way to the burial children rode with the casket. Mind you the casket was not being taken by a hearse but rather a tiny, beat up, Toyota Tacoma. And unlike children in the U.S., they weren't crying but rather – smiling! They were smiling like it was a normal day in Matagalpa. This was because they had faith and saw death as the next stage in life. They didn't see death as an end but as the beginning of something greater. At the cemetery people weren't crying but rather taking pictures and smiling! Again and again I saw these people smiling. I wondered about this for a long time, about how people could be happy on a somber occasion like this. And then it hit me –it was faith! Faith was the answer. These people did not cry because for them there was no uncertainty. For them, in their hearts, this man was with God and there were no ifs, ands, or buts. It wasn't just I who witnessed amazing things on this trip. For example, when we were ministering to the sick in the hospital, one of my friends, Chris Busser ’17, had the experience of witnessing someone's last moments. Just before the man died, Chris handed him a card of the Sacred Heart of Jesus. Because of Chris, this man's last moments were spent thinking of where he would be soon. Then we went to the dump and witnessed unbelievable poverty. You would not believe the joy on people’s faces as Michael Swenson ’17, Max Campbell ’17, and John Davenport ’17 handed them some toothpaste and t-shirts. We never realized such simple things could so drastically affect another person. I thank God that Jesuit has offered me the opportunity to serve the poor in such diverse environments, and I hope that the freshmen, sophomores, and juniors can carry on this rich tradition of service to the poor at Jesuit. Thank you, and thank you to all my brothers who made this mission trip possible. “Together” was their mantra as they traveled from Tampa to the plains of South Dakota and the Rosebud Indian Reservation, 10 Jesuit boys on a service immersion trip from June 14-21. And together they made a difference to the Lakota Sioux people of the region. Led for the second straight year by chaperones Nick Werner, a Latin teacher at Jesuit, and Zack Haitz ’09, the contingent of students – all from the Class of 2016 – provided hands-on assistance to the local St. Francis Mission in its ongoing work at the reservation. Rising seniors Jacob Yodzis, Michael Schmeling, Zachary Saylor, Dominic Santos, Jason Reynolds, Cameron Petrie, Thomas Mooney, Nick Messina, Connor LaVoy, Dominic Kynkor, E.J. Isenbergh, and Charles Butler were charged with running a vacation bible school for about 30 Lakota children each day. They introduced the children to important biblical stories, taught basic prayers, performed arts and crafts, and acted as instructors. Late in the afternoon each day the boys helped paint a church and worked in the community garden that provides food for the Lakota people. "The trip blew my expectations out of the water," Petrie said. "I (thought it) would be like many other service opportunities with the poor in which we supply people with something they need and move our separate ways. (However), the interaction with the kids and the Lakota in general will definitely have a lasting impact on me that I never would have expected to receive. They were the most loving and happy people I have ever met." Each night, after preparing dinner for the group, the boys participated in a group prayer and reflection, sharing and learning about themselves and their classmates, and developing deeper relationships. Fr. John Hatcher ’61, S.J., who has worked with the St. Francis Mission in native ministry for 40 years, hosted the group for a special Mass on Friday afternoon (June 19). Afterwards, the Jesuit boys held a cookout with Fr. Hatcher and many people from the community. About 20,000 Lakota live on the reservation, and roughly 8,000 identify as Catholics, but church attendance is very low and the reservation is plagued by poverty. "The main concept that I took from this experience was that love is existent and God is existent in places where there is nothing else," Petrie said. "I also became very good friends with some of my classmates who I would have never pictured myself being friends with, and I am thankful for that." A group representing Jesuit High School trekked back to South Dakota last month, following up on its 2013 mission trip by once again serving the Lakota people of Rosebud (Sioux) Indian Reservation. Connor Brozak ’15, who also made the trip to South Dakota last summer, said it was better this time around. “It felt like even more of a mission,’’ Brozak said. Ten Jesuit students and two supervisors – Alumni Director Zack Haitz ’09 and Latin teacher Nicholas Werner – operated a week-long vacation bible school for the Lakota children. They introduced the children to important biblical stories, taught basic prayers, performed arts and crafts, coordinated outdoor play, and acted as instructors. They also assisted with the community garden and many other activities on the reservation. The vacation bible school is run by Jesuit missionaries as part of the larger St. Francis Mission. The president of the St. Francis Mission,Fr. John Hatcher ’61, S.J., is a Jesuit High School alumnus. He has led the mission for 15 years and has been engaged in native ministry for four decades. About 20,000 Lakota live on the reservation, and roughly 8,000 identify as Catholics, but church attendance is low and the reservation is plagued by poverty. 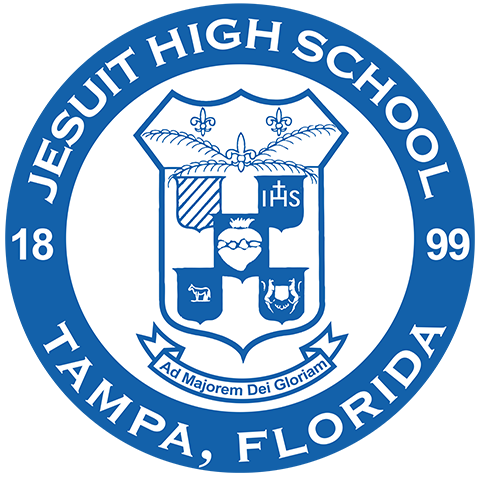 All 10 Jesuit students on the trip this year were rising seniors: Greg Aiello, Paul Anderson, Ty Bradley, Brozak, Jason Caldwell, Charlie Duffy, Stephen Huetz, Cassian Ortiz, James Runey, and Gabe Turner. Preparing a meal for everyone was one of the most memorable parts for Brozak. It wasn’t because he thought his spaghetti and garlic bread dinner was restaurant quality, but “just feeding everyone” resonated within him. Brozak said he and Turner, who also went back for a second year, re-connected with many people. "A lot of the same kids recognized us, and it was great to work with them again," Brozak said. A Jesuit contingent of 18, including 15 current students, traveled to rural north Georgia, in southern Appalachia, on a mission trip for a week in mid-July. Fr. Patrick Hough, S.J., theology teacher Peter Flores, and recent alumnus Kevin Kans ’13 chaperoned the group as it served the community of Jasper. The group stayed at the Our Lady of the Mountains church from July 12-19. The Jesuit students on the mission trip were: Joe Cadrecha ’15, Max Campbell ’17, Jono Carter ’16, Chris Conn ’16, John Robert Davenport ’17, Nick Jeffrey ’15, Sam Lazzara ’15, David Plante ’15, Jacob Shoop ’16, Drew Martin ’17, Andre McFarlane ’15, J.J. Miller ’16, Nathan Miller ’15, Michael Swenson ’17, and Michael Troy ’16. The students helped out the poor and needy in the community by restoring gardens, cleaning houses, and painting a home. They also visited and sang with the elderly; engaged in daily prayer, reflection, and Mass; and took a whitewater rafting excursion. Jesuit High School shared its commitment with the people of Matagalpa, Nicaragua this summer, the third consecutive year Jesuit has served that community. Fr. Patrick Hough, S.J.and assistant principal Dr. Angelo Pastore led a group of 10 Jesuit students to Matagalpa from July 24-31, where, among other things they worked at the prison, the hospital, and the dump. Fr. Hough and Dr. Pastore also led a group of Jesuit students in Matagalpa last summer. Representing Jesuit were: Alexander Barcenas ’16, Gabe Bauer ’15, R.C. Consuegra ’15, Brett Gajewski ’16, Keegan Hart ’15, Jack Hughes ’15, Colin Malafronte ’15, Michael Mathews ’15, Zach Quilty ’16, and Nik Thanasides ’16. Malafronte and Mathews made the trip for the second straight year. The group stayed with the New York-based Franciscan Friars of the Renewal in their friary in Matagalpa, which has a population of 109,000 and is in a mountainous, inland region of Central America.